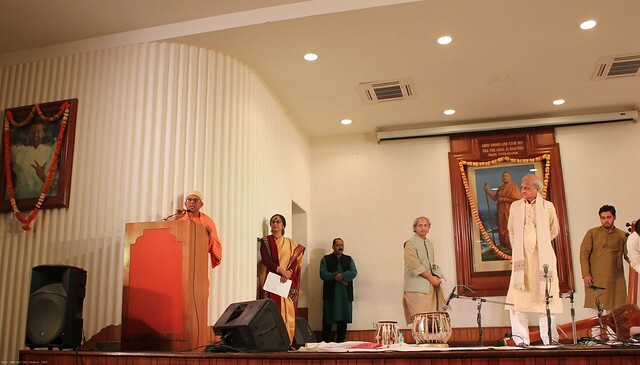 On the auspicious occasion of the National Youth Day synchronizing with the 156th Birthday of the Patriot-Saint of modern India, Swami Vivekananda, as well as to commemorate the 126th year of his Chicago address at the Parliament of Religions, a day-long Music Festival was jointly organized by Sangeet Natak Academi, Ministry of Culture (Govt. 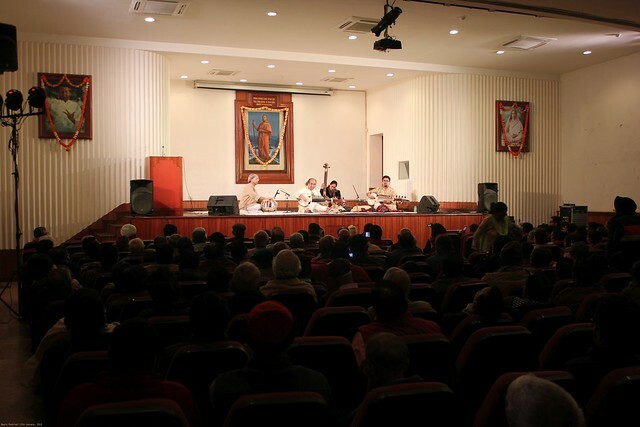 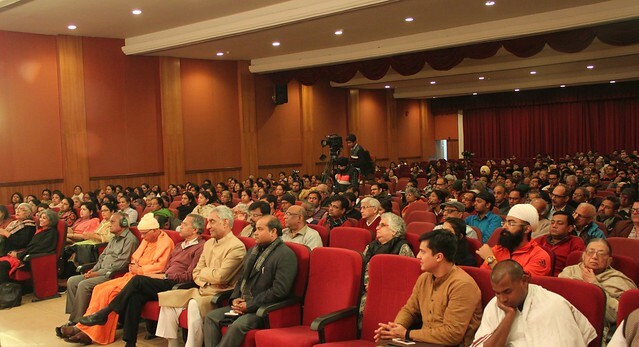 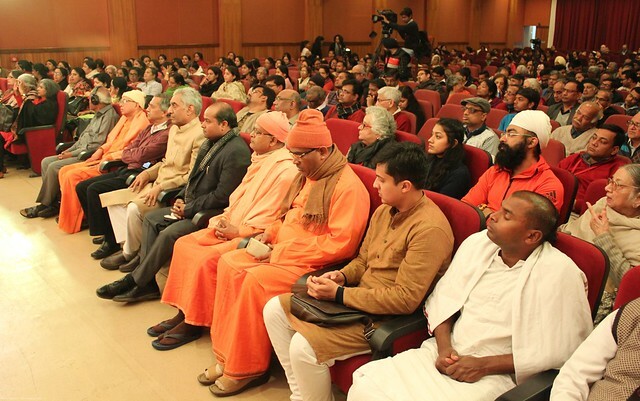 of India) and Ramakrishna Mission, New Delhi, on the 12th January 2019 in the Vivekananda Auditorium of the Ramakrishna Mission. 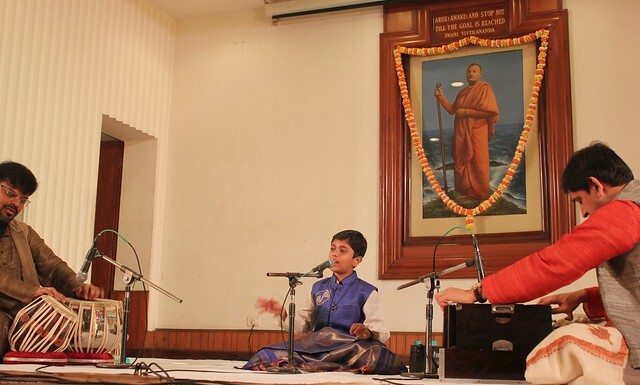 The programme began with bhajans rendered by a child prodigy, Rahul Vellal from Bengaluru. 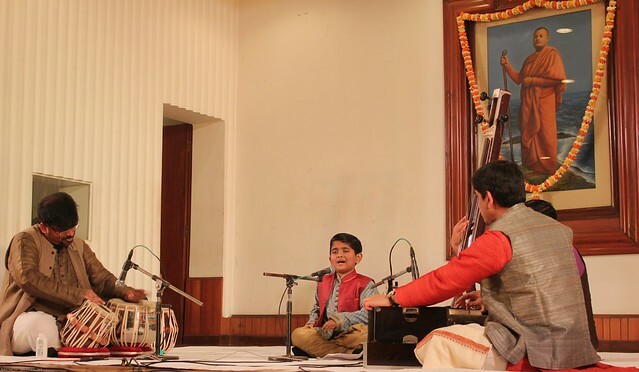 He displayed his tremendous talent at the young age of 11 and mesmerized the audience. 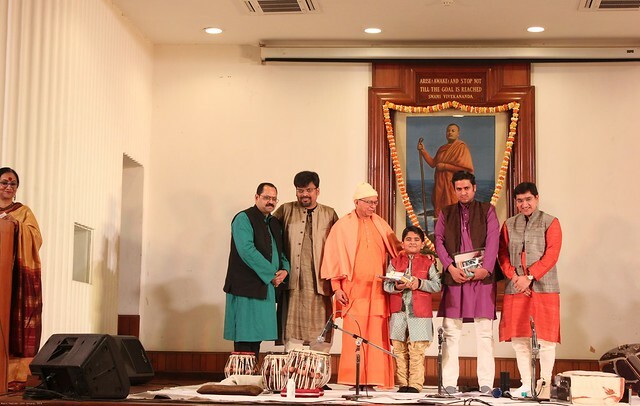 This was followed by a second child artiste and singer Aryya Banik from Siliguri (West Bengal), who rendered Hindustani Classical Music and a couple of bhajans in Hindi and Bengali. 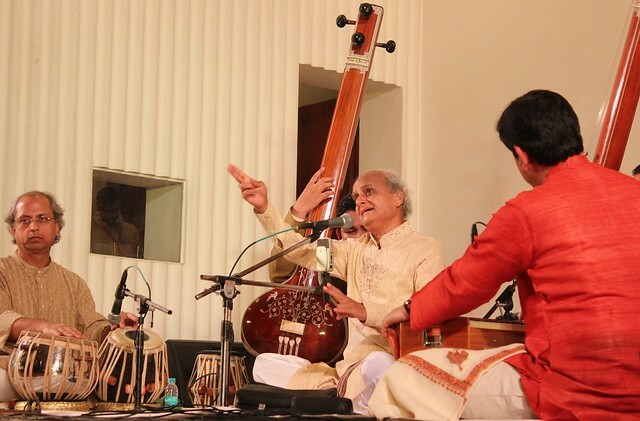 Both of them were accompanied by Vinay Mishra on the Harmonium and Sambhunath Bhattacharya on the Tabla. 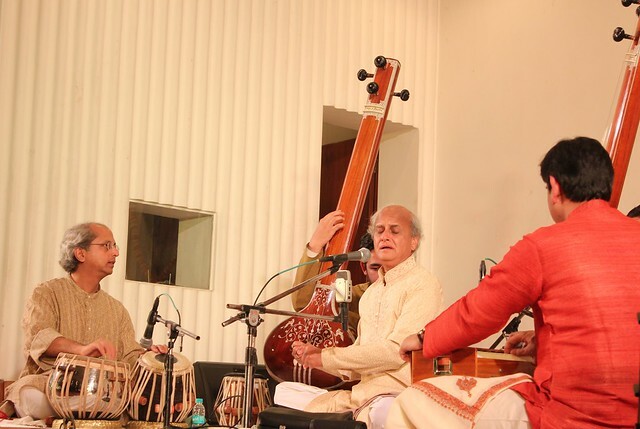 In the afternoon, renowned sarod-player and disciple of the legendary Ustad Ali Akbar Khan, Pt Tejendra Narayan Majumdar, and his son Indrayudh from rendered Raga Gaud Sarang and Raga Zila Kafi on the sarod, accompanied by Pt Yogesh Samsi of Mumbai on the Tabla. 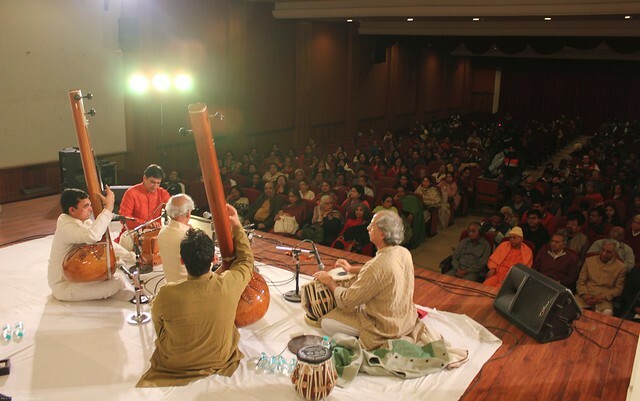 The evening ended with melodic notes from renowned vocalist from Pune, Pt Ulhas Kashalkar, who gave a masterly display of Khayal music (in Ragas Multani and Sindhura) as per the Agra, Gwalior and Jaipur gharanas. 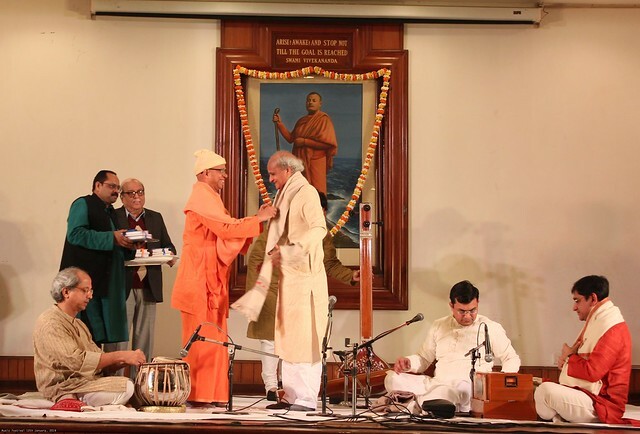 It was a remarkable performance of a very high standard. 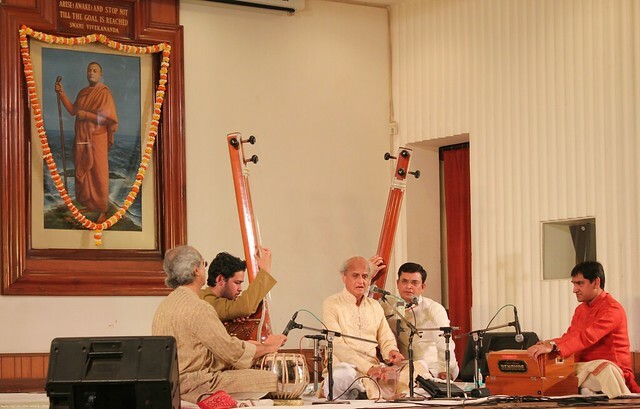 He was ably supported on the Tabla by Pt Yogesh Samsi and on the Harmonium by Vinay Mishra. 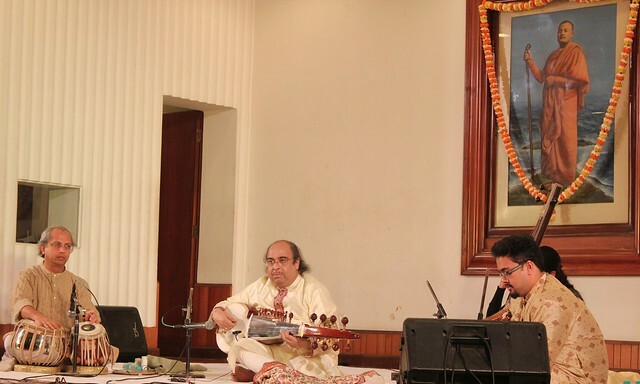 Vocal assistance was very nicely provided by Ojas Pratap Singh. 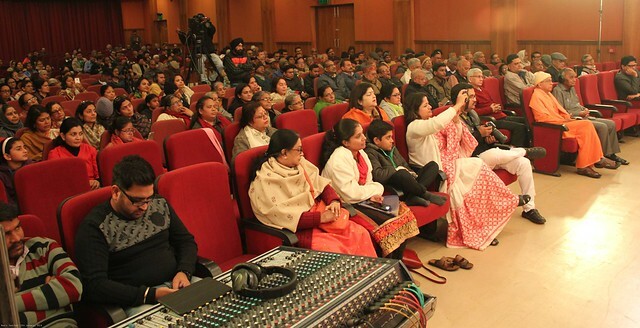 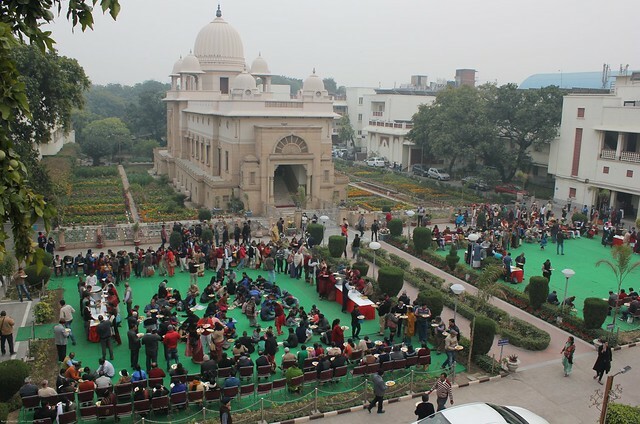 All the artists of the day-long programme had given outstanding performances in their repertoires which had held the audience in rapt attention. 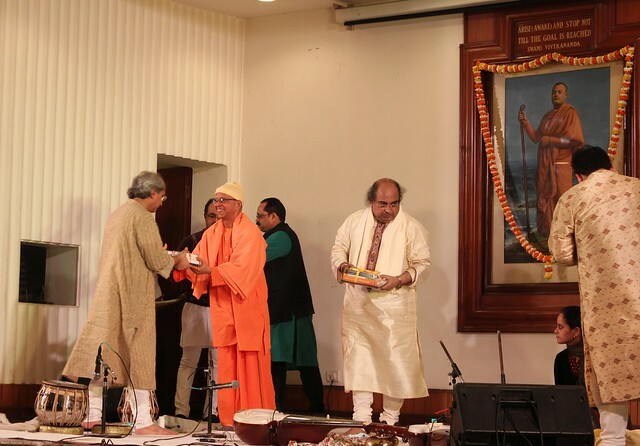 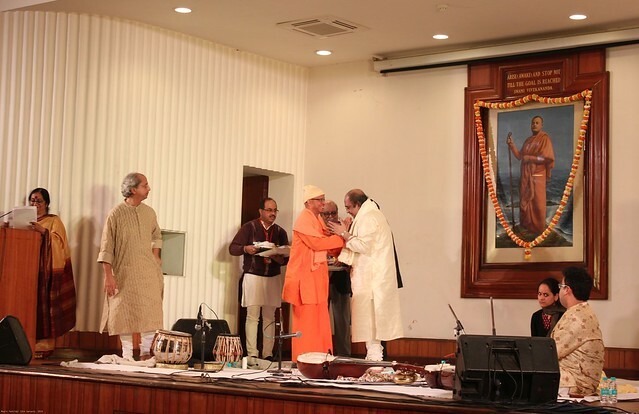 At the end of each recital, Revered Swami Shantatmanandaji Maharaj, Secretary spoke a few words of appreciation for the performers and presented a shawl to the main artist, and a laminated photo of Swami Vivekananda to each of the other accompanying artistes.